White supremacists should be challenged—not indulged. Tony and Maria Hovater registered for their wedding at Target. During an interview at Applebee’s, she wore a sleeveless jean jacket and ordered the boneless wings. He likes Seinfeld and King of the Hill, and described his time playing with a metal band over a turkey sandwich at Panera Bread. Oh, and they’re both Nazis. He thinks Hitler was “chill” about Slavs and gays, and considers the claim that 6 million Jews were slaughtered during World War II “overblown.” She’s “pretty lined up” politically with him. The political party he helped establish sells swastikas online. Interviewing Nazis is a tricky business, as I can attest from personal experience. 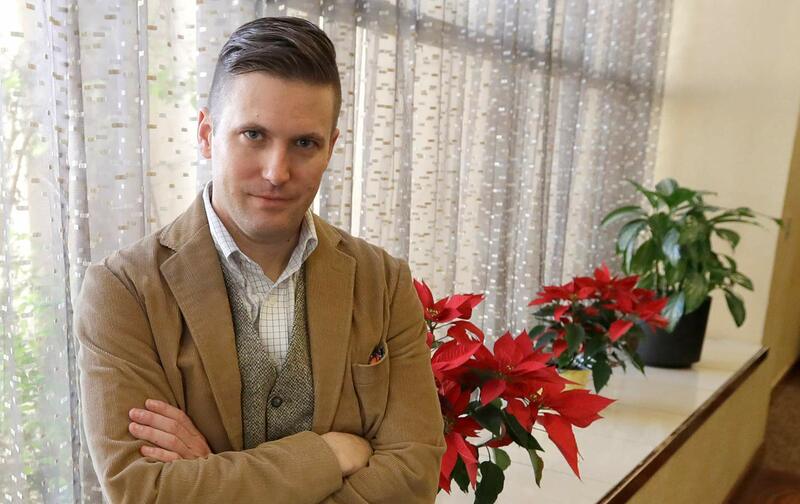 In late July, just a few weeks before Charlottesville, I spoke with alt-right leader Richard Spencer at a white-supremacist conference for a documentary I was making for British television about white anxiety in the age of Trump. In the clip of our conversation—in which Spencer appears visibly shocked that I turned out to be a black man—he argued that African Americans benefited from slavery and white supremacy and insisted that I could not be both British and black. After about half an hour, I called time on the interview, pointing out that he was ignorant and had nothing to say. I was conflicted about whether I should have talked to him at all, but given his connections to Breitbart News and Steve Bannon and the racially divisive and explosive mood created by Trump, I felt, on balance, it made sense. That balance is important. Nazis should not be ignored. They are dangerous. We need to understand where they’re coming from, what motivates them, and what their strategies are. Ignoring bigotry doesn’t make it go away. The basic principles of journalism still apply: They should not be misrepresented, lampooned, or caricatured. But neither should they be indulged. We should not inflate their importance, ignore their brutality, or enable their self-aggrandizement. They are not regular politicians. Violence is central to their method; exclusion is central to their meaning. Instead, they should be confronted, challenged, and exposed. How we engage them—and why—is an issue of political morality. This is an imperative that sits uneasily with flaccid notions of journalistic objectivity, in which those views that make it through the filter are considered equal, regardless of their factual or moral integrity. “On the one hand, on the other hand” doesn’t work here: You can’t weigh genocide against relatively stable democracy as though any reasonable person might disagree on the outcome. 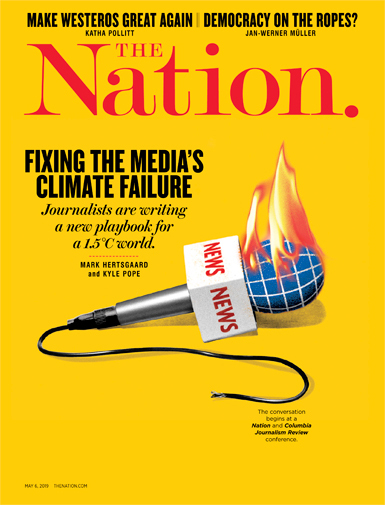 In these moments—and with the rise of the far right across the Western world, there are many of them—the claim that journalists sit above society, as though in a hermetically sealed chamber, responsible only to their editors and “the story,” becomes increasingly thin. We have responsibilities, both professional and human, to resist the allure of spectacle. There is too much at stake. The Times article failed on most of these counts. Indeed, thanks to its obsession with the trivial details of the Hovaters’ daily lives, its effect was not to expose the obscenity of their views, but rather to underscore the normality of their existence. It offered this as a revelation, as though Hannah Arendt had never covered Adolf Eichmann’s trial. The idea that Nazis go shopping, watch television, and eat at chain restaurants shouldn’t surprise us: They generally live “next door” to someone. Fascism, as the British poet Michael Rosen pointed out, doesn’t arrive in fancy dress. Fascists do not appear with horns and a trident, any more than the proud advocates of segregation 50 years ago were anything other than ordinary Americans. This is essentially the same mistake that the British press makes every time it profiles a jihadi terrorist. The reporters marvel that the killer in question once supported Manchester United, ate fish-and-chips, drank in pubs, and had girlfriends. In short, having first set him up as an aberration beyond societal norms, they then salivate over how familiar a person who has made hate his mission can be. It is a function of white privilege that white terrorists get this treatment even as they freely voice their commitment to terror. If The New York Times ran a profile on Saturday of a Muslim associated with the kind of violence that Tony Hovater embraces (after Charlottesville, he wrote that he was proud of the comrades who’d joined him there: “We made history. Hail victory”), he’d be in prison by Sunday. I make no great claims for my interview with Spencer. Television is a different beast, both less nuanced and more powerful. But I don’t think, by the time that sequence concludes, that anyone could be in doubt as to the vehemence of his racist views. I also believe that Spencer’s pomposity, ignorance, and inability to make a case for those views will leave anyone who watches it feeling less likely to identify with him rather than more. “We need to have more families,” said Matthew Heimbach, the leader of the Traditionalist Worker Party, which Hovater helped found. The two were speaking on a Radio Aryan podcast. “We need to be able to just be normal,” Heimbach continued. The Times effectively assisted in that effort. It made Nazis look normal. And that’s not a good look.